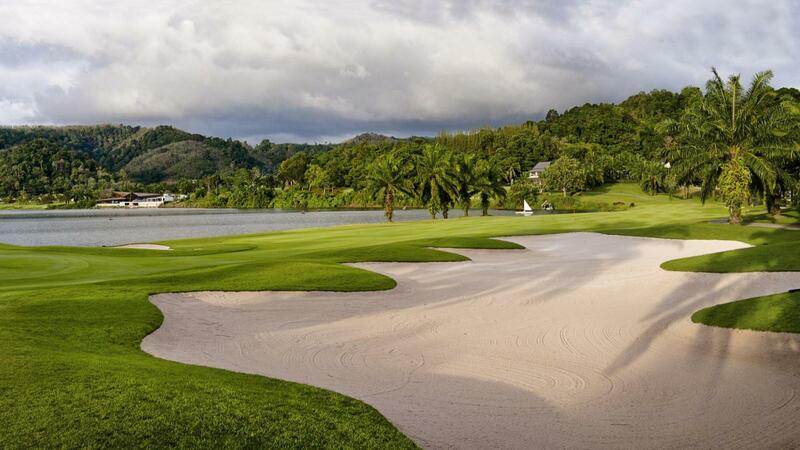 Meandering around Phuket's largest lake, quarried during the tin mining days, Loch Palm is picturesque with undulating hills and palm lined fairways reflected in the open water and enveloped by a jungle-covered mountain backdrop. Loch Palm is a regarded as Red Mountain's older and softer sister. 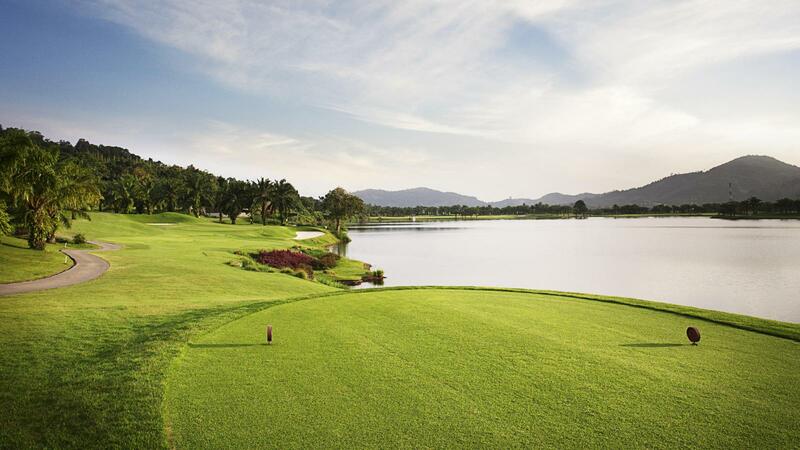 The 6, 422 yards par 72 course offers a more relaxing game with a variety of challenging hazards and green to confront golfers of all abilities. 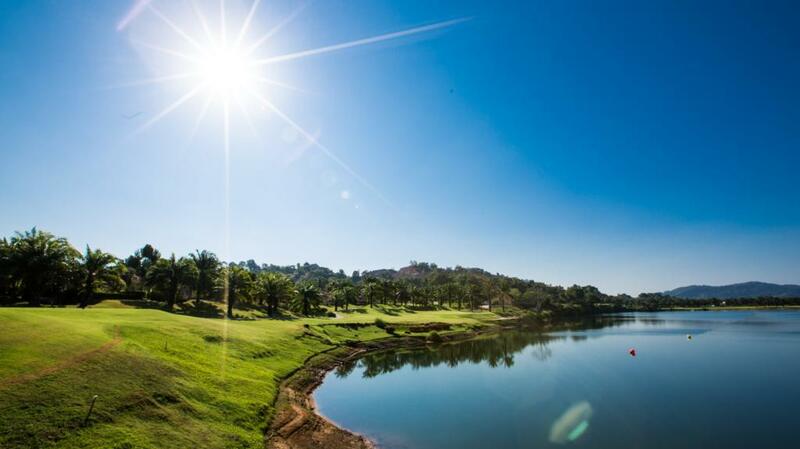 Water comes into play on 13 holes; the front nine snakes around the lake while the back nine poses a more demanding test through mountainous areas with tricky and downhill ventures. 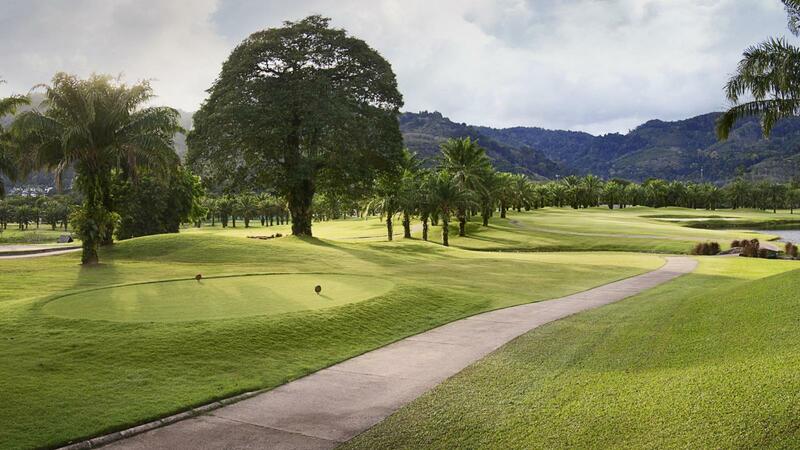 Fairways are lines with over 1, 400 graceful oil palms. Varieties of Zoysia grass have been used on the fairways and greens and some greens with Seashore Paspalum. 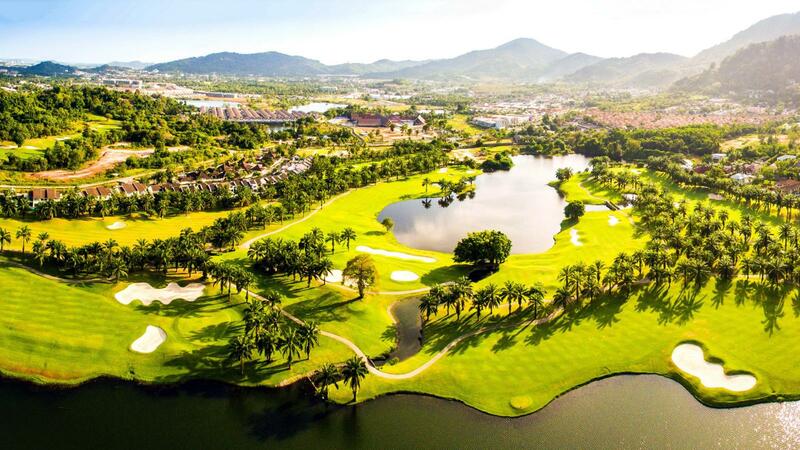 The Loch Palm clubhouse is a modest family-oriented venue with a restaurant overlooking the fairways, the Crystal Lake and the mountain beyond. The clubhouse also has an aqua driving range, practice chipping, putting greens and a pro shop. The friendly staff at the pro shop will help with all golfers' needs from equipment to apparel. The pro shop also caters to golfers requiring rental clubs and shoes, with an excellent range of top brands available. 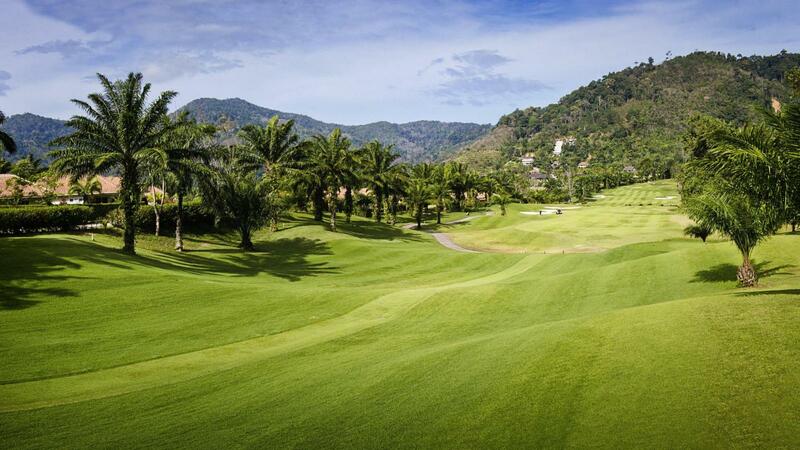 Hole 14, a 168 yards par-3, is one of Phuket's truly stunning par 3. A large undulating green, guarded by water all around and a long beach bunker in front, lies 60 feet below the tee. Wind and elevation play havoc with club selections. Strategy favors the braves. Merely hitting the green will not guarantee par. The closer you stay to the water the easier your putt will be. Take a moment to enjoy Loch Palm's panoramic views. 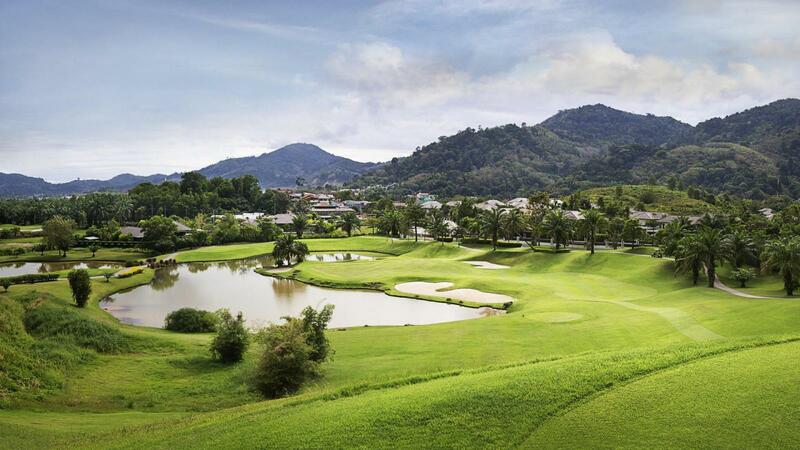 At this point you are truly enjoying "The Most Relaxing Golf Course in Phuket". 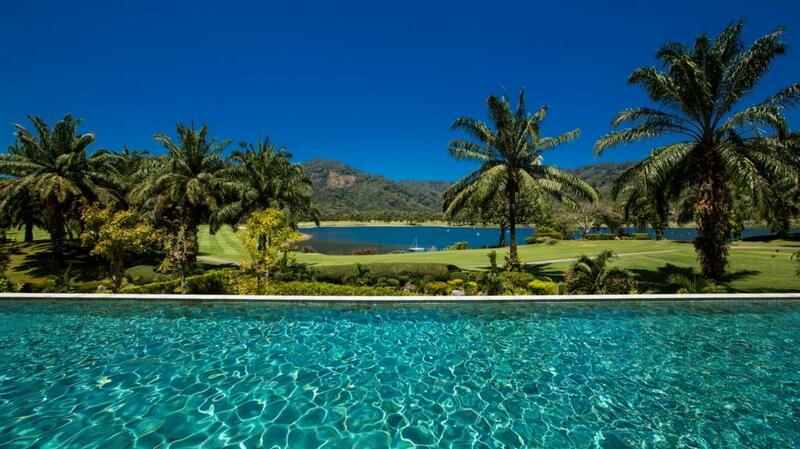 Loch Palm is more than just great golf. The deep clear water of Crystal Lake, the largest body of water, and a myriad of smaller lake provided an inspiring setting for water sports. Find harmony with nature rowing or hobbie cats on glassy dawn water or sailing the lake at sunset on refreshing evening breezes. 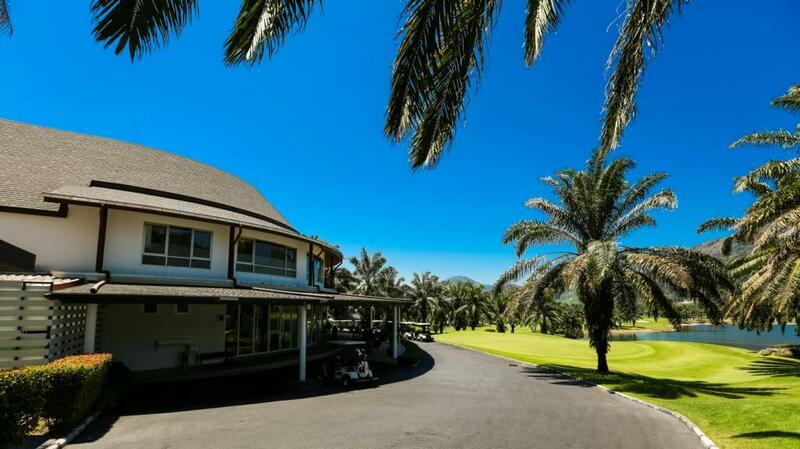 Exquisite properties of absolute craftsmanship, Loch Palm is home to a number of stately residential properties scattered around the golf course, commanding extraordinary views. All properties within Loch Palm are professional managed and fully serviced. Select properties are for sale and others available for rental on a daily, weekly or monthly basis. A vast community project will continue to develop quality accommodations and facilities, including high-end lakefront residences and resort villas. In addition, more resort amenities, tropical gardens and water sport facilities are also in our long term master plan. 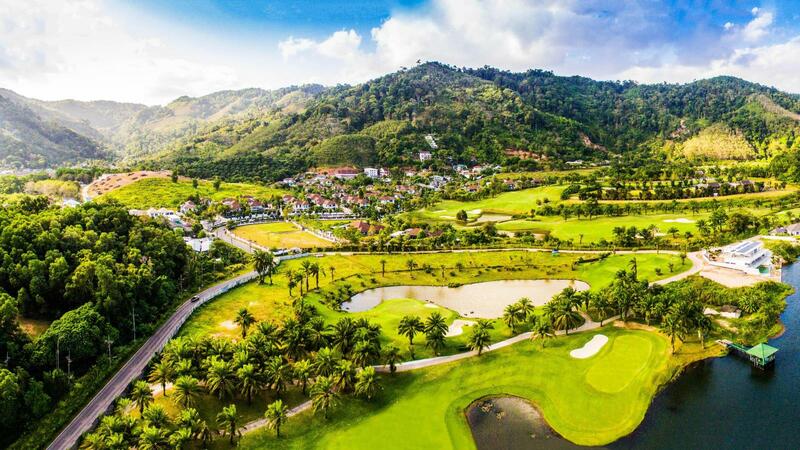 With these future developments, Loch Palm Golf Club & Red Mountain Golf Club will be destined to attract discerning golfers from all over the world.